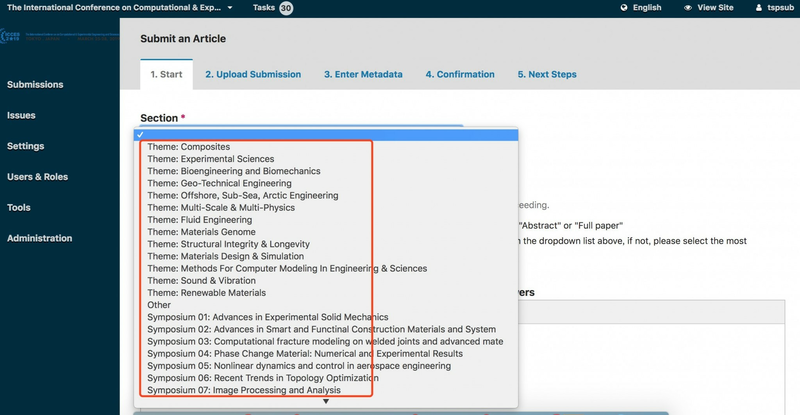 For each submitted regular abstract, extended abstract(short paper) and full-length paper, one theme area must be specified for the content. The Scientific Committee reserves the right to assign thematic categories as necessary. All submissions will be subjected to brief in-house peer-review. All regular abstract (>200 words) will be published on ICCES Online (ISSN: 1933-2815 (online)). All accepted extended abstracts(short papers) and all full-length papers (no less than 5 pages) will be published by SPRINGER (“Lecture Notes in Electric Engineering” (ISSN: 1876-1100), “Advances in Intelligent System and Computing” (ISSN: 2194-5357), etc.) under the Title: Hiroshi Okada and Satya N. Atluri (Editors): Computational & Experimental Simulations in Engineering (Proceedings of ICCES2019, Tokyo University of Science, March 2019). Springer publication will be Indexed in Scopus, Engineering Index, etc, for their full archival. Selected outstanding full-length papers will be recommended to cooperated SCI journals of Tech Science Press. Maximum file size must not exceed 4 Mb. All forms of submission must be submitted only electronically, using the buttons above before the submission deadline. 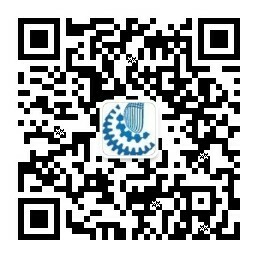 Register with the abstract submission website and establish your username and password (see screenshot). Note: If your topic does not belong to any of the listed sections, please select “other”, our editorial team will categorize your submission appropriately. Please note that at least one author must register in full to attend and present the abstract at the conference and that an author must not present more than two presentations (either oral or poster). You can email us to alter your abstract at any time up to the submission deadline of 14th January, 2019 (0:00 A.M. Central Standard Time). Authors of selected accepted abstracts will be invited and possibly encouraged to submit a full-length paper using the full paper template by 20th January 2019 (full paper tamplate is downloadable at the top of this page). Presenting authors must register before February 10th 2019. The acceptance of abstracts by the Committee does not imply any financial assistance or fee deduction. The Conference organizers reserve the right to allocate accepted papers into sessions as they see fit in accordance with the overall program objectives. The decision of the Conference organizers is final. It is necessary for all authors to read the author guidelines. Manuscripts that do not follow this format will be returned to the author for editing to the correct format. Please find the Guide for Authors. 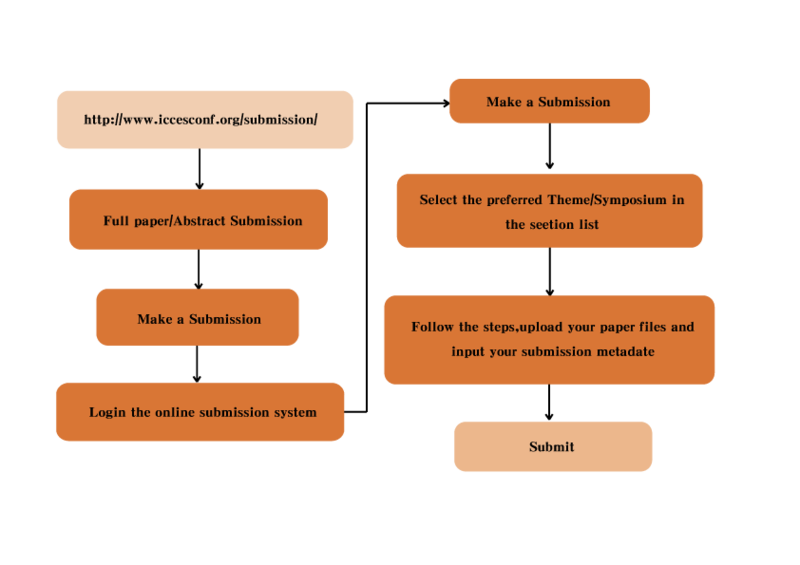 All forms of submission (regular abstract, extended abstract(short paper)/full paper) have to follow the following steps to finish submission. Step 1: Log onto your ICCES submission account. The possible reviewers part is optional. In “2. Upload Submission“, you may choose the right component (either Abstract, Full paper or Others) to upload your submission files (better in Word file). 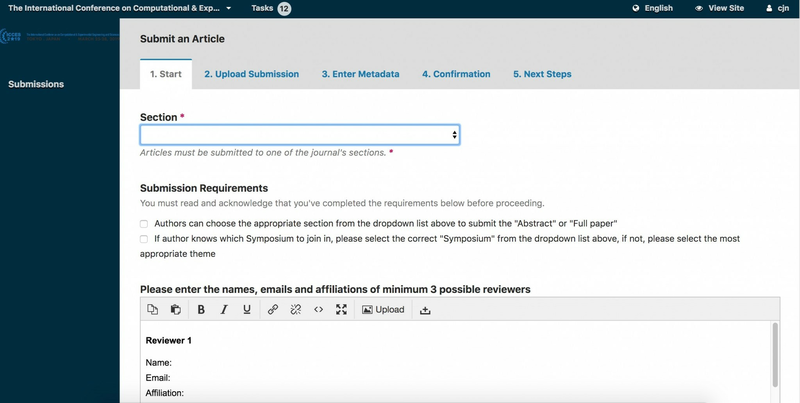 Please be noticed that all forms of submission (regular abstract, extended abstract(short paper)/full paper) have to finish the whole steps (1-5) to complete the submission. In “3. Enter Metadata“, you may enter the required information of your submission, such as “title”, “abstract” and “keywords”, and click “Save and continue” to the confirmation step. In “4. Confirmation”, before you click the “Finish Submission”, you may review all information you entered. After “Finish Submission”, this submission is confirmed and no longer can be altered. In “5. Next Steps”, you are now have your submission finished. Should you have any questions in the process of submission, please feel free to contact us at icces@techscience.com. Manuscripts submitted will be undergoing a blind peer-review process during the time of submission. The authors will be notified regarding the manuscript acceptance before 20th January 2019. This paper will be blind reviewed. Please note that the Committee reserves the right to change submissions for oral presentations to posters. Accepted full papers will be published in “Lecture Notes in Electric Engineering” (ISSN: 1876-1100), “Advances in Intelligent System and Computing” (ISSN: 2194-5357), etc. by Springer.